With over 15 years’ experience in the industry and a long-standing relationship with arrangeMY , Joni has helped create and launch our latest initiative, arrangeMY Associate. 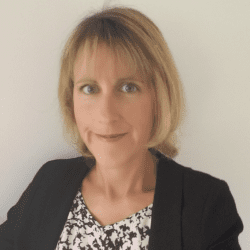 Working as a self-employed venue-finder, conference organiser and account manager, Joni works with her own clients whilst utilising arrangeMY’s comprehensive database and state-of-the-art booking system. Joni can assist with wide-ranging requirements, from a small board meeting to a UK-wide training series. In addition to venue-finding and rate negotiation, she also offers consultative services to clients looking to better-manage their meeting spend.